This website is the culmination of 20 years of personal and professional experience dealing with inflammation and pain. 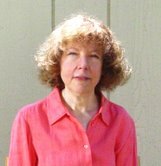 My name is Janice Schwartz and I've been a licensed massage therapist for 20 years. Dr. Veronica Waks, M.D., N.D., has joined me in my mission to bring you sound health and nutritional information that will help you lead a healthier, happier, more productive life. 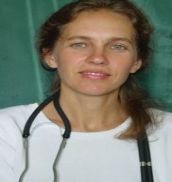 Prior to earning her doctorate in naturopathic medicine, she received her MD from the Vladivostok Medical University in Russia, where she practiced internal medicine and family medicine. Dr. Waks combines a contemporary naturopathic approach to healing with the keen insights of a medical doctor. When I started studying at the Connecticut Center for Massage Therapy in 1987, I lived in a house near the beach that was filled with mold. That was before it was common knowledge that mold was a health threat. In the summer, mushrooms flourished in the bathroom. I would remove them each morning. By the time I would get home from school or work, new mushrooms raised their caps to greet me. The house had forced air heat, great for circulating mold. I was working, going to school and taking care of a friend's dog that wasn't housebroken and had fleas. It wasn't long before the house was infested and we had to use chemical bombs to get rid of them. I had headaches every day. I couldn't sleep more than three hours a night. I was exhausted all the time. I developed severe neck and shoulder pain. Classes that involved hands on work were a challenge. It was so bad that the people in my car pool had to drive my car to school because I couldn't turn my head. I went to a chiropractor who saw me for the number of visits covered by my insurance and then said "I can't help you." He referred me to a rheumatologist and I was diagnosed with fibromyalgia. He prescribed Xanax which is an addictive anti-depressant. I took one and then came to my senses. I decided to do some research and found a book called the Yeast Connection. I went on a yeast free diet and eliminated dairy products and wheat. After two weeks my headaches and shoulder pain lessened dramatically. To me, this was a miracle. If I went off the diet, I was in pain again. Eventually I was able to tolerate more foods, but I still have to be careful. I saw a homeopathic physician who gave me remedies for sleep. I started taking supplements suggested in the Yeast Connection. I used systemic enzymes for inflammation and resumed the meditation I had stopped because I was too busy. I decided to try Nystatin, which is a relatively benign prescription drug for candida albicans. I started to feel human again. My lifestyle, diet and environment had caused inflammation that was wreaking havoc with my body and quality of life. Because I had an open mind and a willingness to change, I was able to continue my education effectively and live my life. Once my interest in the effects of nutrition on health was ignited, I subscribed to many respected, newsletters on nutrition. I knew I could never return to the conventional way of looking at health. For almost 20 years, I have been using my experience and knowledge to benefit my clients, so they won't have to suffer a minute longer than necessary. In my practice, in Fairfield, CT, I see people suffering with all types of conditions. From injured muscles and arthritis to migraines and chronic pain, the common thread is inflammation. The results of combining massage therapy and nutritional anti-inflammatory supplements are often dramatic. The supplements decrease inflammation and speed up the healing process. They make my job easier and my clients' lives happier. Health issues and supplements I read about 15 years ago are now becoming mainstream. There is a lag time of 15-20 years between the discovery and acceptance of new ideas in health related fields. Do you want to wait that long to stop feeling sick and tired and get on with your life? My commitment is to bring you the latest developments in health related research so you don't have to. click here to read my experiences. Disclaimer The statements made here have not been reviewed by the FDA, and are not intended to treat, cure, prevent or diagnose any disease or illness. For all conditions or illnesses see a health professional for a full evaluation, diagnosis and treatment plan. Neither Janice Schwartz, Veronica Waks or staff members of Inflammation and Health L.L.C. are responsible for the use or misuse of any advice or product covered herein.